Chaloner eighth grader Madison Elias will now have her work represent North Carolina at the national level. 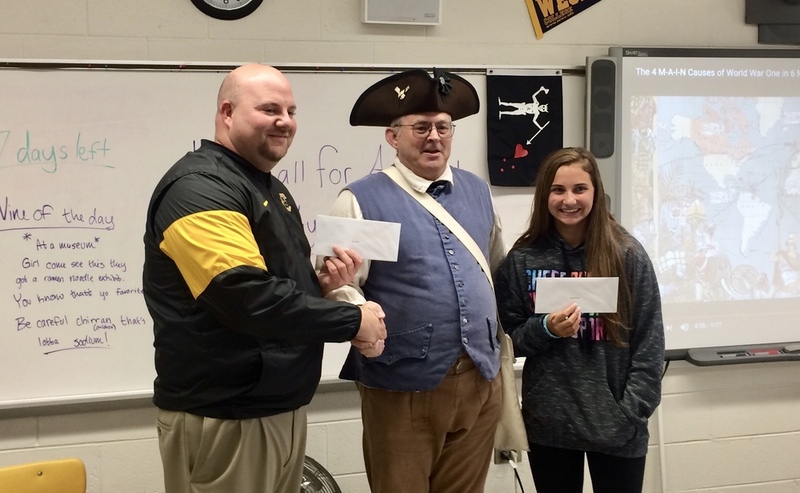 This year Chaloner eighth graders participated in the Sons of the American Revolution Brochure Contest with the topic being, "Founding Documents" (Declaration of Independence, Constitution, etc.). 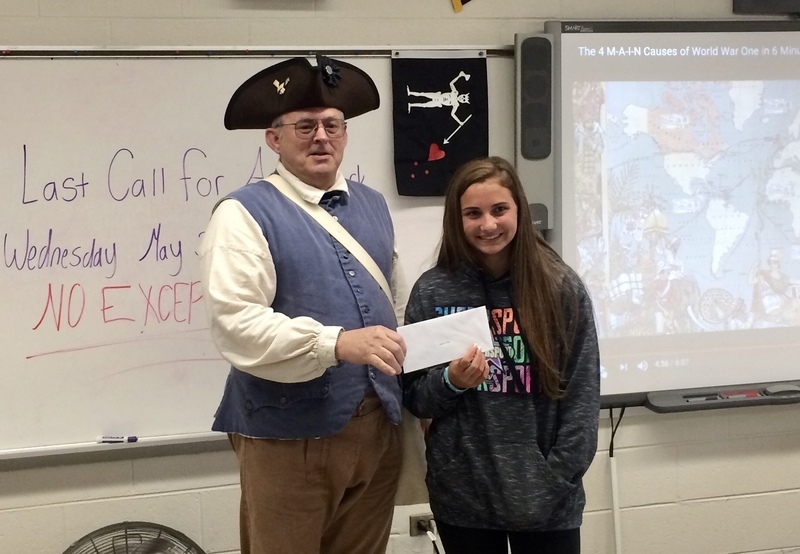 Elias received a cash award for winning at both the local and state level from the Sons of the American Revolution organization. She is now entered in national contest and will be the only student from North Carolina to participate. "She has done an amazing job and represents her school well," said Chaloner teacher James Rook.